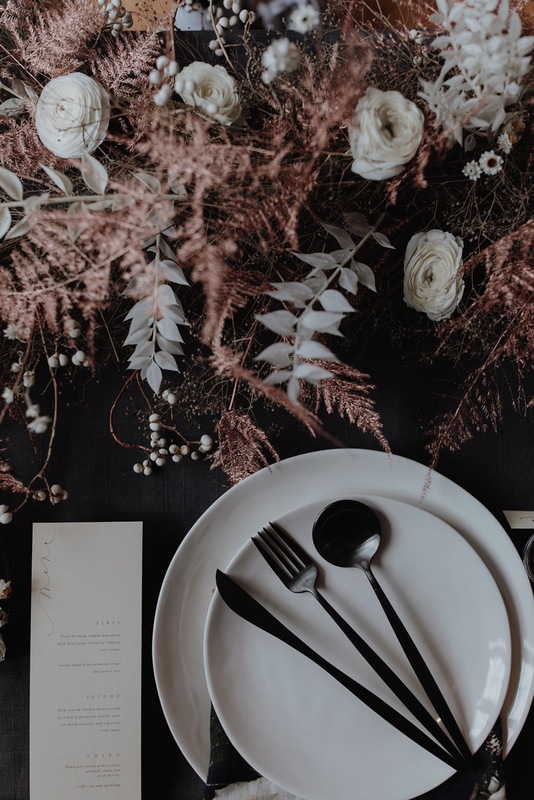 This black, moody tablescape was completely inspired by these amazing floral napkins we fell in love with from CB2! Brier & Ivy used a mixture of dried and fresh florals to create a stunning garland arrangement and Seek Paper Co made simple, modern menus and hand lettered place cards. It’s definitely not our typical neutral, blush color scheme… but we kind of love that!